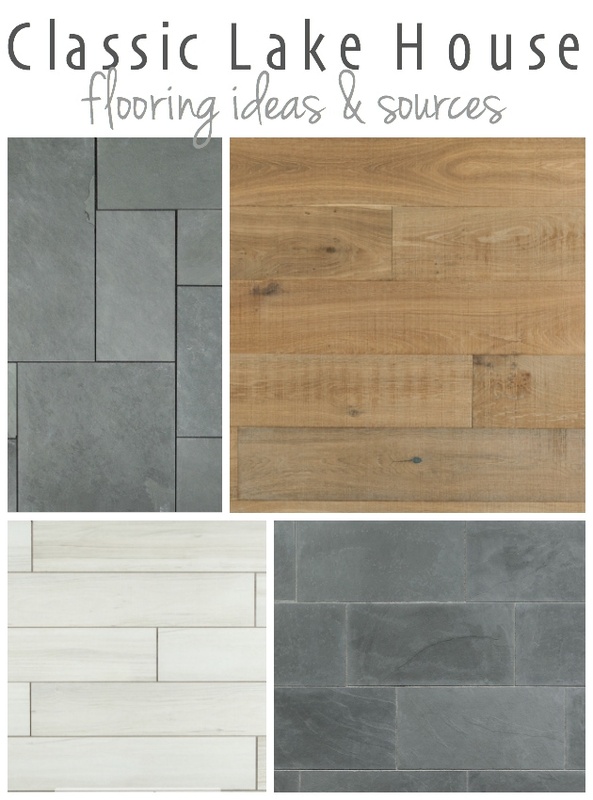 We are finally getting to the good stuff in this whole house building project, and I’m excited to share some of my flooring selections with you all. Today, I’m focusing on the main floor. Flooring is probably one of the scarier things to pick out, because it feels so permanent. I wanted to pick something classic that I would love for the next 20 years and not something trendy that would drive me crazy by next season. So, I went with very neutral and natural looking elements. Check it out. I’m so excited to be working with BuildDirect again on this project! I received product in exchange for this review, but all thoughts and opinions are honest and my own. If you haven’t shopped with BuildDirect before, it’s online Marketplace connects you directly with the sellers of home improvement products at a great savings. One of my favorite things about BuildDirect is they send free samples right to your front door. I’ve been driving all over the place to pick out selections for this house, dragging my poor kids with me, so it was nice to shop for flooring in my yoga pants from home. BuildDirect has so many home improvement products to choose from and their flooring selection especially is awesome. I loved the fact that I could quickly compare different flooring side by side without spending hours in a store. I narrowed it down to several options I wanted to see in person, ordered my free samples and received them the next day. That’s another perk when shopping with BuildDirect, their customer service is great and they even have a free virtual Design Center to help you plan your next project. If you remember, our last house had super dark espresso flooring, which was beautiful, but the dark color showed every little crumb. This time around, I was determined to go lighter. 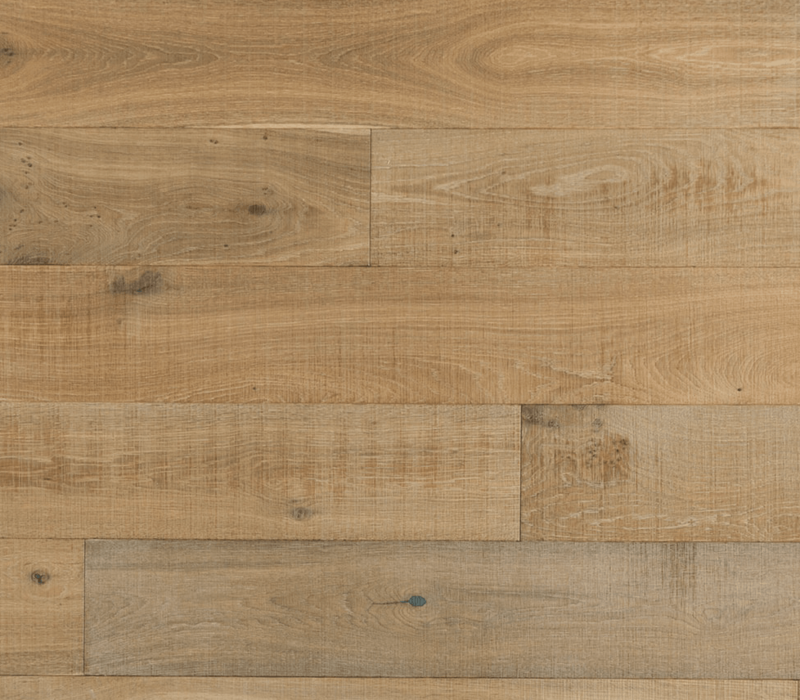 I found lots of great options of wide plank engineered hardwood, but I fell in love with this Vanier European Oak Whitewash Collection flooring. It comes in 7 1/2 inch wide planks, and it has a brushed finish, which is so cottagey and worn feeling without being too rustic. Bonus, I sprinkled sand and granola bar crumbs on it (my kids got really into making crumbs for me to test it out!) and you couldn’t even tell because it’s basically the same color, which should cut down on my daily sweeping. Here’s a more detailed look from BuildDirect’s website. I think it’s going to look great with the salvaged beams we are using in the house. It’s so beautiful in person and I can’t wait to see it installed. It’s also going to go down our staircase and be in part of the basement as well. It’s such nice neutral color, not yellow, not pink just a beautiful worn natural looking wood. and the Versailles Pattern in the front entry for a little something different. Although ours will still have lighter grout like the pic above. 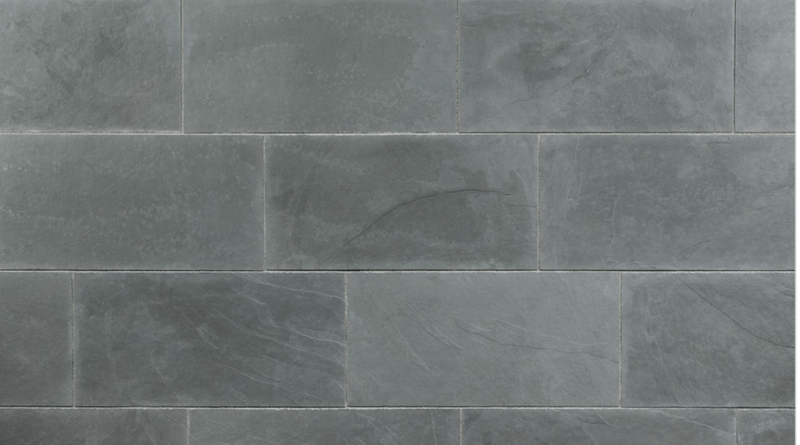 Lastly, the tile for our master bathroom will be this pretty Salerno Porcelain Tile – Wilderness Series. It looks like white washed wood planks, and I think it’s going to be so calm and warm especially with my free standing tub. 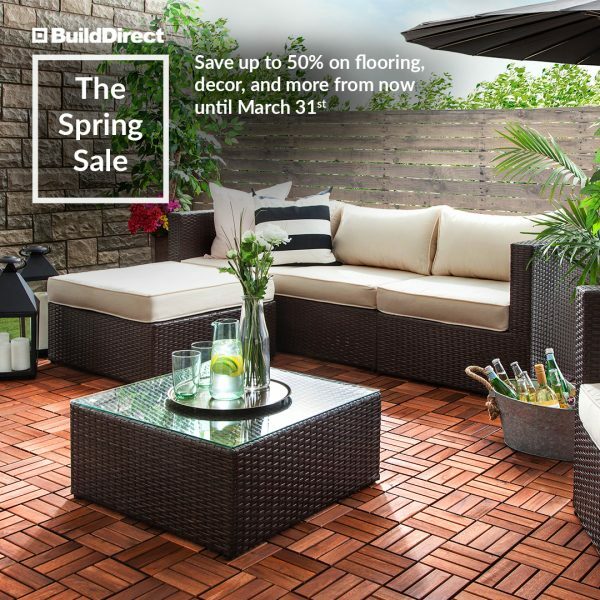 If you are in the market for new flooring yourself, now is a good time to save at BuildDirect. They are kicking off their big Spring Sale today, you can check it out here. It runs through March 31st with savings up to 50% off on over 8,000 products including wood flooring, carpet, tile, decking, siding and more! The painters have been busy in the basement all week, so I’ll have more fun updates to share next week! I really like all that you pick. I agree with having tile in the entry – even if it’s really rainy out with boots tile works so much better. Happy St. Paddy’s Day! Thanks Marisa, aren’t you proud of me for making a practical choice for once? ha :) The tile is going to be so much nicer to clean. We have engineered wood floors. It is a rustic look with light to darker colors. Our’s has a sheen to it. It is holding up great after 2 years. I am so pleased with it and know you will to. I can’t wait to see it installed in your home. I am excited about seeing your kitchen finished, also. So glad you are building a beautiful home. I thought your other home was beautiful. Oh so glad to hear this Linda, hardwood is such a hard choice to make! I’m can’t wait to see it all installed. You always do such a great job making your choices! Can’t wait to see it all put together! Thanks Louise, I’m excited to see it all come together too! Are you having heated floors anywhere? We just remodeled our bathrooms and had our master bathroom floor heated. My favorite thing! Surprisingly you can get thermostats that are not programmable – be sure to get programmable! Not sure why they even sell non-programmable – who wants to get up, turn on/up the floor, wait for it to warm up, . . . I agree with you Margot! 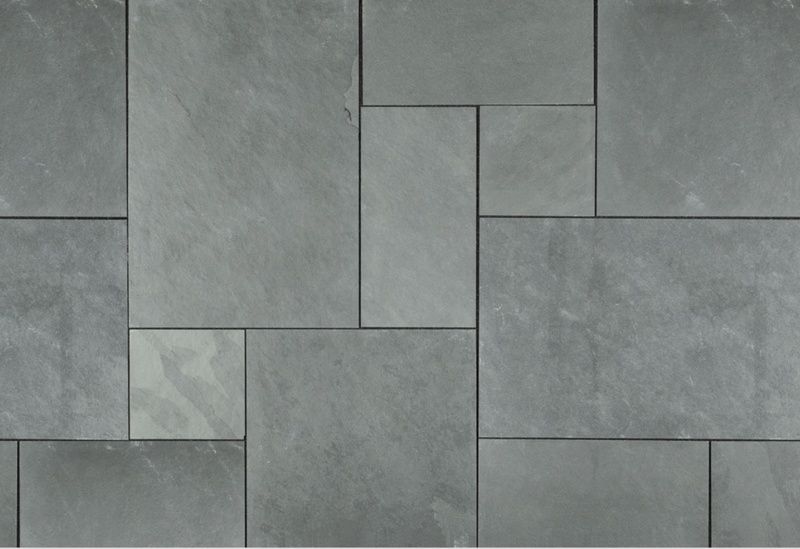 Heated floors are a must especially under tile! Our house here in Illinois has heat and we love it! Our summer home in Glenn does not have heated floors and every morning I get up and touch the floor (kitchen and bathrooms) with my feet……I silently scream! Wish we had installed heated floors! Hi Cindy, the entire lower level with have heated floors and I’m excited about them! Great choices Kelly! They are classic like you said and compliment each other so nicely. We are almost at that stage too with our new lake house. Like you said, it’s stressful because flooring does feel permanent. The wood looking tile? I would definitely think that would work! Great finds! Can’t wait to see it all down! Years ago a jeweler told me go the traditional route stay away from fads! Boy was he right! I’ve heeded that advice on everything. While I love the style flooring ( cement tiles) with lots of design, I just feel in 5 years they will look dated! Smart doing what you did! I looked at a million patterns of the cement tile and it is so pretty but I knew myself and that it would drive me nuts in a few years. Not to mention it would be hard to change out wall colors etc… Less permanent trendy things like pillows and rugs are so much easier to swap out! Thanks so much Sandi, yes we feel very blessed to be able to build this house. Your choices are classic and most importantly tranquil… something every mother needs in her house! Love them all.. can’t wait to see all it finished.. YOU have been working hard! Hey Jan, if you follow me over on instagram Charlie usually makes an appearance or two! Thanks for following along. Kelly, I love your choices (as usual 😉). I have dark engineered hardwood throughout the first floor and I hate it, because it shows every little piece of lint and every crumb. We didn’t choose it; the builder had already installed it when we came in on the buy. I understand that engineered hardwood can be sanded and restained once or twice. When/if we get to the point when it needs to be redone, I am going to go much lighter. Has anyone reading this post ever done that? I’d love to know about their experience. Kelly, thanks so much for sharing your home-building choices. I am learning so much, just by reading your posts! I wanted to sand down the floors in our last house so badly, the dirt drove me crazy so I feel your pain. I think it depends on the thickness of your particular engineered hardwood? Maybe if you have a sample piece you could show it to a contractor? Good luck! I love seeing your progress and choices. Do you have a designer helping you or did you just know what you did and didn’t want this time around? I would love for you to do a post on things you learned/and tips during the process! Like tile in the entry instead of wood because of snow, I completely forgot that happens!! Such gorgeous pics! I had no idea about BuildDirect- such useful info!! Love all the choices! Everything is going to look so nice. The tile is going to be practical and really pretty too! I wonder if you have the option of putting heating (I think you can get small electric “mats” that are laid between subfloor and tile mortar), under the tile in your master bathroom. It’s something I regret not doing when we retiled our master in my first house. Also thinking that you’ll want to be careful about sealing the light-coloured tile grout, and making sure you can clean it. On the young house love blog they had a hard time cleaning grout that was light coloured like that. Hi Colleen, because the slate is a natural stone it all has to be sealed so we will seal the grout then too, thanks for the tip! i hope you are installing a central vacuum system..not that costly and no more dragging a machine around…it’s my favorite feature in my home and the kids love to use it! Hi Sunny we aren’t, my parent’s actually have that and they never use it! Our whole upper level is hard surface so I will probably sweep and mop more than vacuum. I know that it was a sponsored post from Build Direct, but I hadn’t thought about getting the tiles sent to the house. I know what you mean about driving all over town with kids in tow to get samples. Getting the samples from Build Direct seems much more civilized. I am totally going to do this for my next project. Thanks for making the sponsorship real and personal. Thanks Lisa, it really is convenient! Kelly, LOVE all your choices!!! Hilarious that our new home (moved in just 4 months ago) has almost the exact color & style choices. 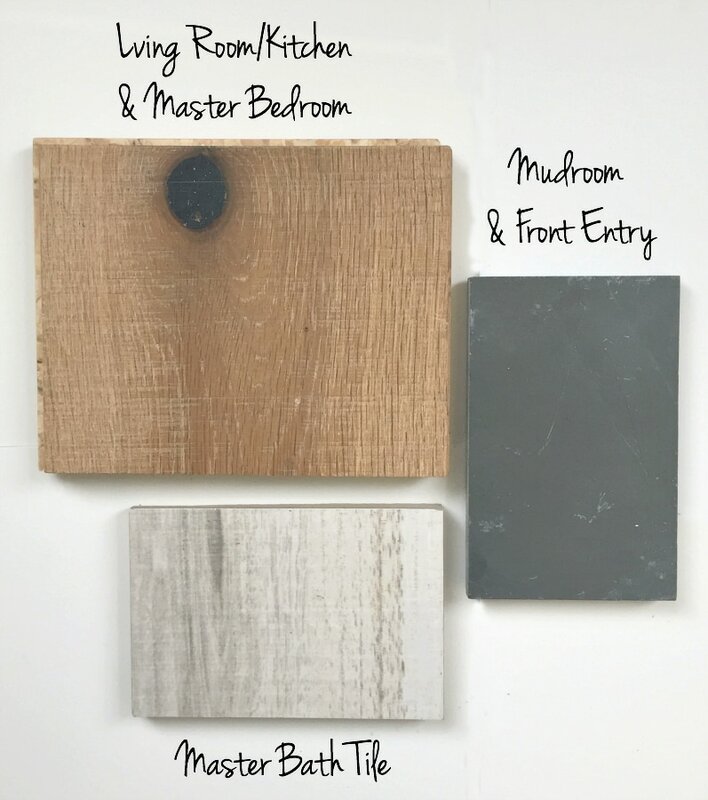 Herringbone slate tile (vinyl though) in the mudroom, entryway and main bath, beachy light wood-look “tile” in the master bath and hardwood flooring in the main living area. I love your style–thanks for sharing your journey! Hi – everything looks great that you’ve picked. 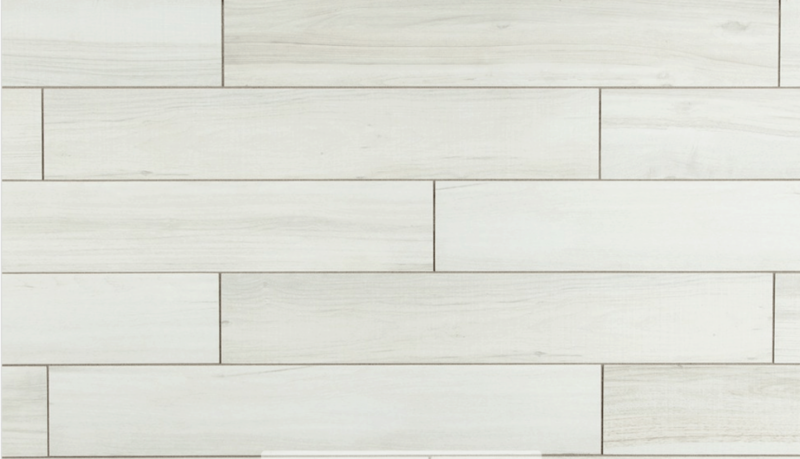 I’m considering the same flooring for our master bathroom, the white Salerno wilderness tile. It would be so helpful if you could post a picture. Would it be possible? Hi Kasia, it’s not down yet, still in the boxes! I will share as soon as it’s done thanks! H Kelly, I love this post and keep coming back to it for the flooring. I ordered a sample of the wood flooring from Builders Direct. The color is perfect and it looks fantastic on your floors, however… it seems almost as if it would splinter or get easily dirty due to the texture. How is yours holding up? I want to put this in our little lake house but have teenagers, so a bit concerned about the wear and tear. Thanks! Hi Julie, it’s definitely not splintery but it does have more of rough raw texture. You do need to be careful with moisture on it because it absorbs more easily so wipe up spills quickly. Ours so far looks great but have tile in our entry ways so it doesn’t get a lot of dirt or mud on it. I just run a roomba style vacuum over it. It is a bit more high maintenance than other floors but I still love it and would have used it again. I love, love, love, the flooring! I received samples from Build direct and it seems the wood flooring feels a bit unfinished and rough. Did you put any kind of finish over it? The edges of the sample I received were also knicked up and I’m afraid they will wear like crazy with my little crazy running wild. Your pictures of the completed project look gorgeous! Serious design envy! I hope your family is enjoying it to the fullest! Scratch that! I missed the response to the last comment. Thank you! Ha thanks for answering your own question ;) thanks!